MACHAS | Welcome to Machas, Elena Iv-Skaya! Welcome to Machas, Elena Iv-Skaya! 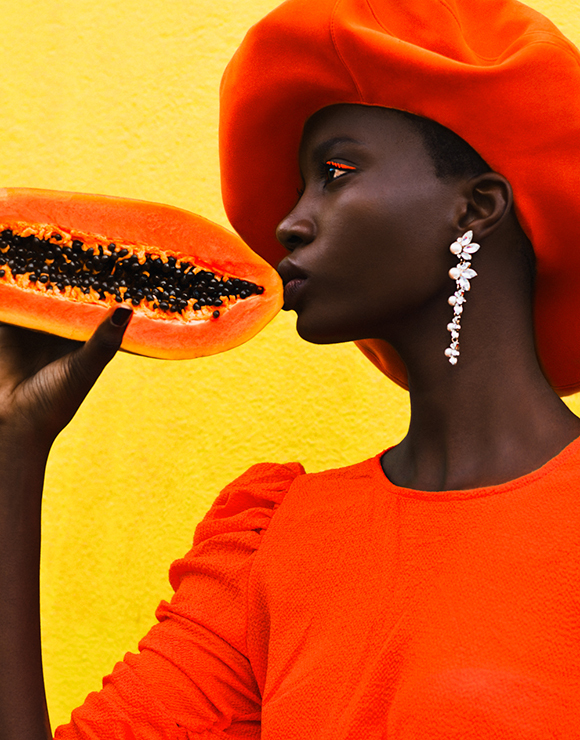 Elena Iv-Skaya’s photographs are an ode to beauty and colour. With her strong artistic vision, she takes us to a dashing world of saturated hues, high contrasts and bold feminine figures. 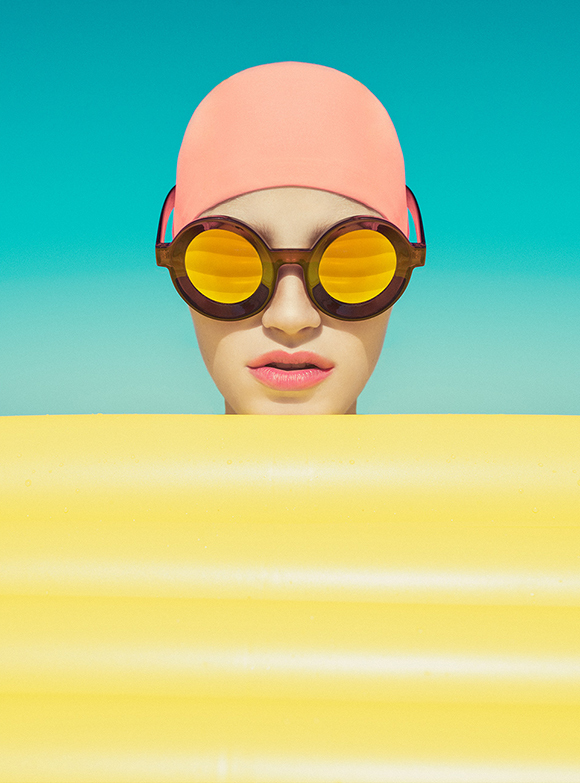 Elena’s incredibly rich and well-curated colour palette, combined with her graphic, almost essential compositions, turn her photographs into wonderful painting-like creations. Women are Elena’s favourite subject. “My muse is feminine”, she says, and she depicts them as strong, dynamic figures, sometimes provocative but always dramatically elegant. Elena is a truly dedicated, passionate artist and, as a new Machas Artist, we had the pleasure to ask her a few questions about her career, inspirations and future projects. You are a self-taught photographer. What is your background and how did you get into photography? I have always taken photographs without thinking that, one day, I would become a professional photographer. I used to be a model and it was my first real contact with fashion photography. Seven years ago, I took my husband’s camera and started taking pictures and study photography techniques. I am still learning, experimenting and trying new things, as this is an important part of my approach as a photographer. I want to keep searching for new interesting techniques and inspirations to create new visual sensations. You travel a lot and are currently based in Reunion Island. How does this inspire and shape your work as an artist? I moved to Réunion island from Russia almost 8 years ago. It’s the place that inspired me to become a photographer. Fashion photography isn’t very developed here, so I invented my own style with what I had on hand - it was a big challenge! The island has an exceptional light all year long, exuberant colors and luxuriant vegetation. I love working in natural daylight. The sun is the best light engineer I know! I like the power of tropical light and the bright colors it reveals. My work would have been less colorful and original if I grew up as a photographer in a fashion capital. 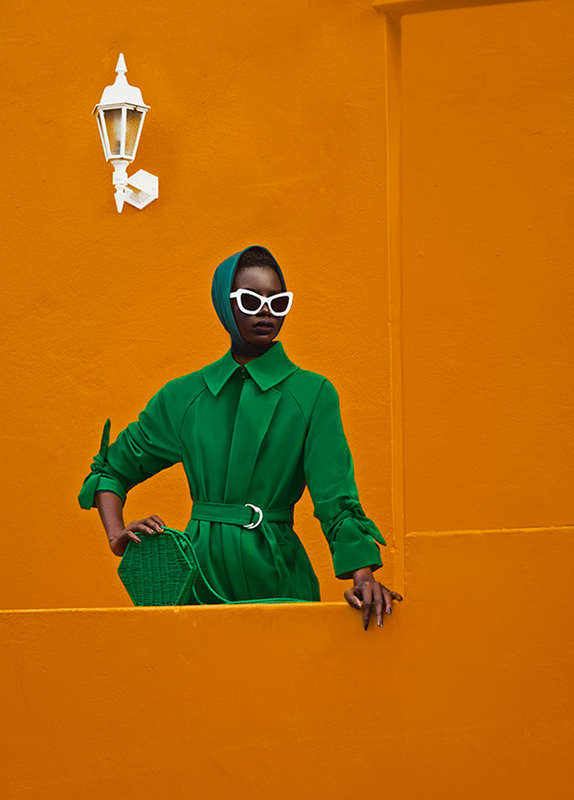 I often travel for work to South Africa, which is also an incredible place for a fashion photographer. The variety of landscapes, light, people - I was blown away the first time I had the opportunity to shoot there. On some of your previous work, you have also been involved in art direction and styling of the shoot. What did you like about that? I am a photographer who invests a lot of time in personal research. 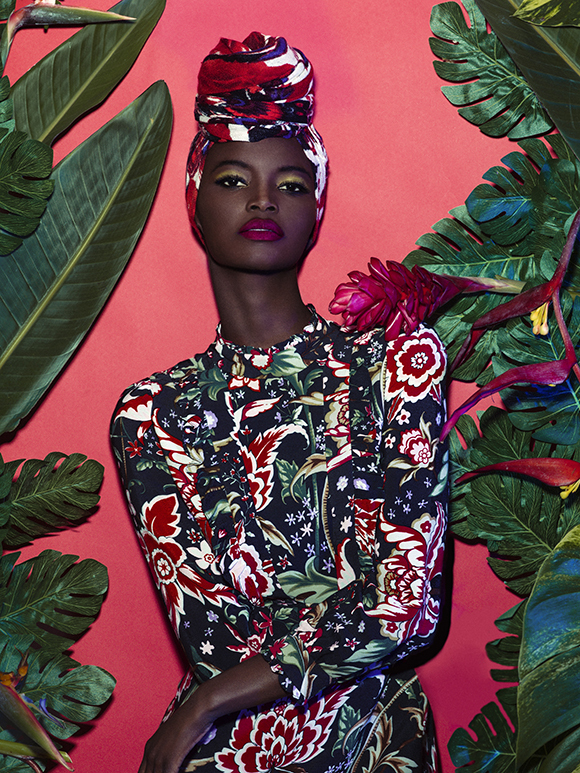 I like to experiment, to look for new ideas, to develop a very personal visual signature, a unique universe… I do this research work a bit like a painter, who search for the right colour, the right light, decor, make-up and appropriate styling. All this research nourishes my work for fashion and advertising. How would you describe your photographic vision? What feelings or emotions are you looking to provoke when people see your work? First of all, I would like people who look at my work to be surprised, astonished, to wonder why they like it or why they don’t… Leaving people indifferent is probably worse than anything, but I’m not trying to shock people. As an artist, I am looking for a balance that would not be visible at first glance. But what especially supports my work is the quest for beauty. Aesthetics is a field of inexhaustible research. Beauty and the female gaze seem to be a huge source of inspiration and are central in your work. What does beauty mean to you? I am fascinated by beauty. Beauty is a mystery… producing something “beautiful” is for me a goal in its own right. Beauty is often an unexpected result. You have to look for it, but not too much otherwise it will slip away. You have to put in place the conditions to let it get carried away, to let it come to you like a wild animal that is hard to approach… it’s an endless quest. I love Henri Matisse’s collages and David Hockney’s recent paintings. These two masters of colour and graphic rhythms are a permanent source of inspiration. What are the brands that inspire you the most? The brands that inspire me are those that make the choice to work with photographers who have a personal visual universe. I like the idea that a brand and an artist can collaborate together to develop a specific aesthetic that is an authentic reflection of the photographer’s work while creating a brand universe. Colours play a key role in your work. Your palette is sometimes very pop and bright, sometimes softer and more pastel. 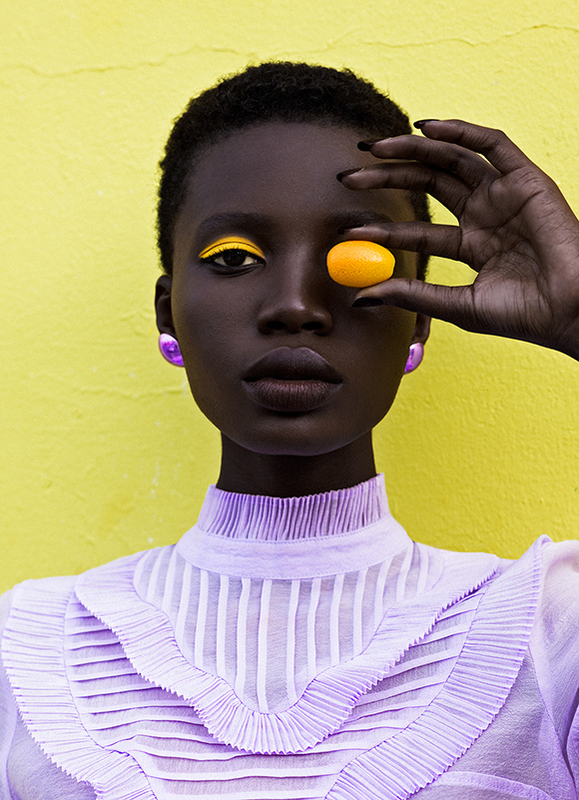 What does colour mean to you? Colour is life! I have a very varied palette, I often work with bright colours at the moment, but I also like more subtle harmonies and dissonant tones. Colours are life because they can translate all emotions, from the most intense joy to the deepest melancholy. Of all the images you have created so far in your career, which is your favourite, and why? I think it is one of the recent photos I took at Bo-Kaap, in Cape Town, which was almost bought by Apple. I like this picture because it combines a dissonant chromatic range and a certain evidence that is only apparent… A part of mystery remains. I feel the need to create. I don’t make any effort to stay motivated. Photography is my life, my job in the noblest sense. What are your plans for the future? What are the things you would like to explore going forward? I would like to travel even more and give more visibility to my work. I would like to have the opportunity to develop a whole visual universe for a brand. Why have you decided to join Machas? First of all, it is Machas who approached me, and I am very honoured because I admire all the artists they represent. I like how they work, they all have a distinctive creative approach, and I like that.